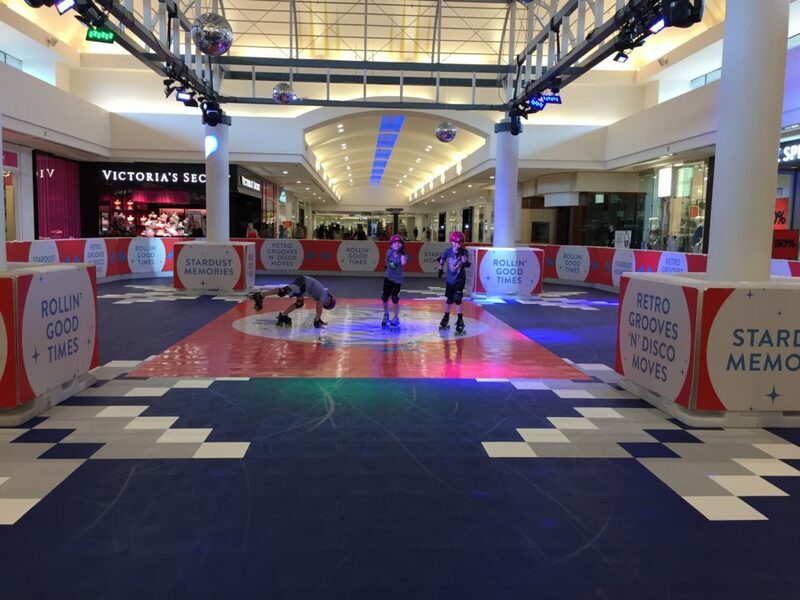 This summer, Southgate Centre hosted the Stardust Retro Roller Rink for five weeks of groovy fun in support of YESS. They welcomed kids and adults, talented rollerskaters and newbies to the rink where everyone got to make awesome summer memories. In addition to regular skating during Southgate’s open hours, they hosted theme days, seniors days, toonie Tuesdays, and parties at the Stardust Retro Roller Rink, with all proceeds coming to YESS. The team at Southgate anticipated that the roller rink would be popular with young families, and so they wanted to partner with a youth-oriented charity. They approached us with this awesome opportunity and we teamed up to provided all the staff and volunteers needed for five weeks of rollin’ at the rink. The team at Southgate learned a lot about YESS and even came for a tour of our Whyte Ave building. At YESS we focus on empowering our youth to build healthy relationships and we love giving them opportunities to create special memories. It was touching for us to see friends, families, and—on a special outing!—our youth come together at the roller rink to have fun, experience community, and create memories together. “If we can contribute towards shaping fun memories through the roller rink, then we are very happy!” says Claire. There was a lot of rockin’, rollin, and retro fun at the Stardust Roller Rink this summer. Of all the great memories, what was a highlight? “The adults-only roller rink party was a hoot! We had some diehard rollerskating fans that night and they were skating backwards and doing tricks! It was fantastic to see everyone in their retro outfits, just enjoying the 80s tunes and having a blast!” says Claire. Thank you so much to Southgate Centre for partnering with us on the Stardust Retro Roller Rink this summer! The rink raised $18,290 to support YESS programs for traumatized youth on their journeys toward healing. The number of great summer memories made at the rink this summer will always be priceless and we know the community had a special, magical experience rolling the sunny days away!